I just snuck in on the last day of January to finish the first of my Craftsy blocks of the month from the free Online Quilting Class. I was waiting for some new solids for this quilt, but it’s begun now and it’s so much fun. Laura Nownes, who is teaching this class seems so sweet. I’d like to be in a class of hers for sure. Here’s what my January offset log cabin blocks look like. Using Kona Coal, Joel Dewberry and Architextures. Ooh that is cool! 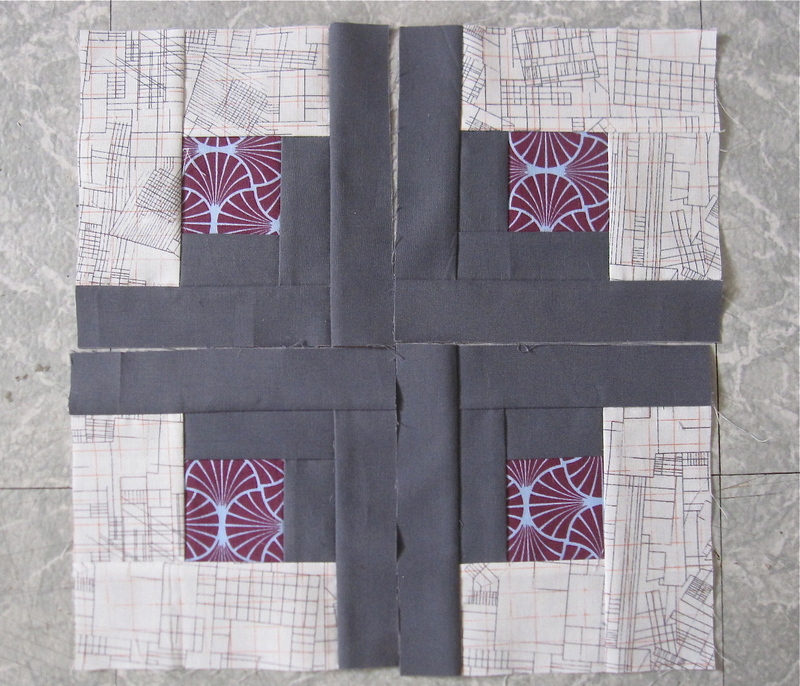 I recently joined a local modern quilters guild for exactly this kind of crisp and modern inspiration. Beautiful!